Constantly in a warehouse in Kyiv ! Diagnostic Medical Display JUSHA-M23C adopts advanced LED technology, which possesses the advantages of high luminance, high grayscale, uniform luminance, energy conservation, environment protection and long using-life. High resolution, high luminance, 16bit grayscale (65536 grade), built-in LUT based on DICOM standard, which all are designed for high-requirement clinical diagnosis, e.g. PACS, CR, DR, MR, CT and other diagnostic facilities. Always in warehouse in Kyiv! The luminance of Jusha professional medical can reach up to 1900cd/m2. A significant sense of image depth, which is beneficial in locating the nidus, can be formed by the synthetic action of luminance and contrast. 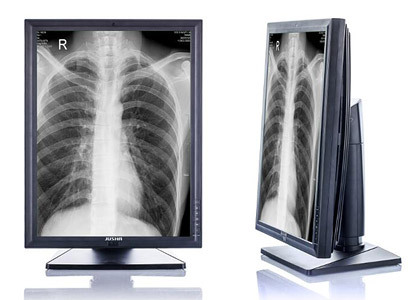 Jusha professional display is equipped with 16BIT (RGB) chip, with which it can present up to 65536 grade grayscale, a more exquisite display, a smoother image and guarantee a perfect present of each medical image feature. DICOM calibration includes two aspects, one is accuracy calibration before leaving the factory and the other is real-time calibration after leaving the factory. The Ins-guard system, which is particularly developed by Jusha, is DICOM real-time auto-calibration system. 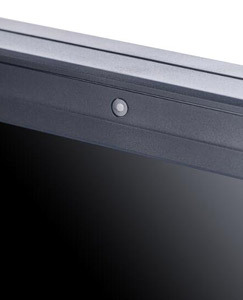 The luminance in the central part is monitored by a built-in luminance meter, which also feeds back the control information and auto-calibrates pixel luminance in the LCD panel, ensuring the luminance output comply with DICOM standard. The measurement in central point is more coincidence to the luminance requirement in practical observation area. The brightness is expected to arise and maintain stable immediately after the monitor is opened. The stability of the brightness is one of the most important foundations for the nidus observation. Normally, it will take 20 minutes for the traditional monitors reach the stable and required luminance. JUSHA developed BIA (Brightness immediately arise technology), shorting the waiting time for stable status after activation to 30s by the innovation in luminance driver program. The luminance is not equilibrium and difference will be significant among the areas in the LCD monitor without calibration, which will affect the display of medical image GSDF grayscale display function and cause negative effect on the quality of DICOM calibration. The full screen luminance equilibrium calibration (SLE), which is particularly possessed by JUSHA, detects the luminance of each pixel and performs the calibration. In this case, the luminance equilibrium for the medical display requirement is ensured. Chinese diagnosticians review much more images than those abroad. They hope the review is done under low luminance and the observation of features is under high luminance. 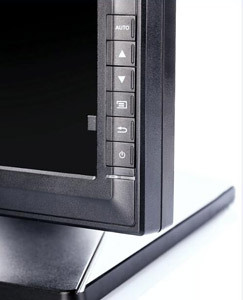 To reduce the visual fatigue during the review, Jusha developed SmarTouch® patent. The luminance can be changed by tapping the SmarTouch button, and the luminance remains stable immediately based on the BIA technology. It guarantees an accurate diagnosis as well as visual protection to the doctors. Environmental light is an important factor in affecting viewing result. Under different environmental light, review result of the image of same brightness is different. 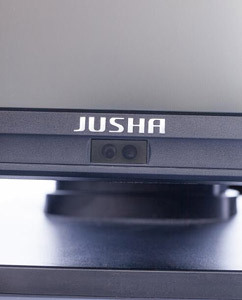 Jusha environmental light detection and calibration system is able to detect and use the light data, adjust the display effect to make it comply with the human visual ability, present image and is applicable various kinds of brightness environment. 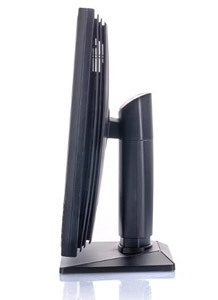 Jusha professional medical display is equipped with Eco-guardian function, which can be used for detection of the existence of users in front of the monitor. The monitor can get into a standby status in a setting time to save energy. Moreover, it can identify the users and other lifeless objects like chairs, making the operation smarter and more convenient. The quality control system of Jusha Professional monitor can monitor and control the status of all Jusha monitors through network remotely. The field maintenance of monitors in hospitals will disturb the normal order for treatment. The remote quality control system makes it more convenient. Jusha remote quality control system provides a better experience of remote maintenance and monitoring service.